Every basketballer knows the importance of having a basketball backpack. 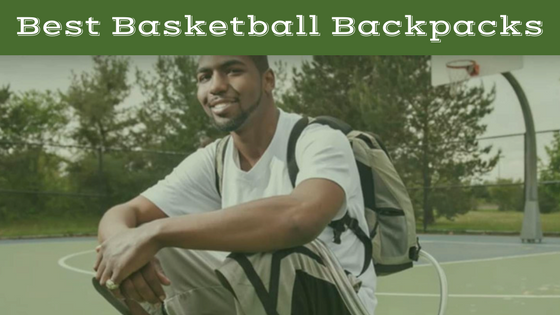 Different from a regular backpack, these are made with the baller in mind, allowing you to carry around your basketball without having to lug around a huge gym bag. 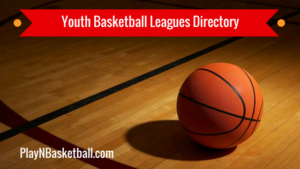 The size of the basketball apparel industry means there are invariably an endless supply of basketball bags to choose from, and this article will help to narrow your search, listing some of the best basketball backpacks on the market, as well as detailing what to look for in a pack. 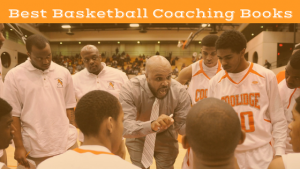 What makes for a great basketball backpack? 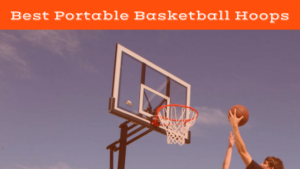 Nike Hoops Elite Max Air Team 2.0 Basketball Backpack Review: We all know how good Nike products are, and this is the best basketball backpack by Nike. First off, it looks great. As is common with Nike products, it’s a simple design, with the major point of focus being the Nike swoosh at the bottom of the front of the bag. As well as looking good, it’s also extremely well designed. It’s water-resistant and has separated wet and dry compartments, allowing you to put your smelly socks and top in one section, and your clean clothes in another. It’s big enough to fit all that you need inside, without being unnecessarily bulky, and this comfort means it can be used as a general backpack as well, rather than solely for basketball games. 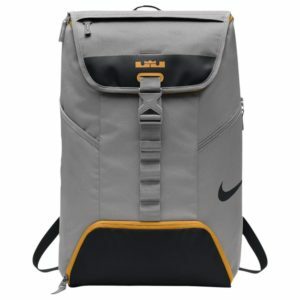 It’s a little expensive, but the quality and durability means you will get great use out of it for a long time, and the fact that it’s the best Nike basketball backpack makes it well and truly worth the money. Bagland Basketball Backpack Review: As their company name suggests, the creators of this product know what they’re doing when it comes to bags. This bag has a number of different compartments, allowing you to put your valuables separate from your dirty clothes, and separate anything else you may need to. 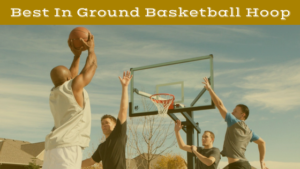 A mesh pouch on the exterior enables you to store your basketball, and easily access it when you reach the courts. 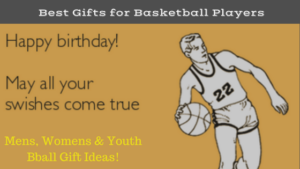 The bag comes in a simple black design and is suitable not just to and from your basketball games, but in everyday life too. It comes in significantly cheaper than backpacks made by some of the bigger name brands and can be easily refunded in the event that it doesn’t satisfy your needs. 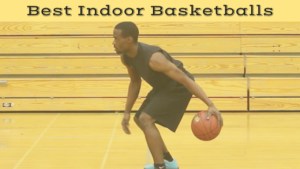 This is a terrific product and is overall the best bagland basketball backpack. 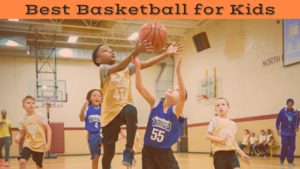 K-Cliffs Basketball Backpack Review: This is an extremely inexpensive alternative to many of the other products on the market, and is the best basketball backpack for cheap that you’ll find. Inevitably it is a relatively straightforward design, but it does exactly what it needs in order to keep you happy. A large main compartment is easily accessed by a zipper, and can store your basketball, as well as much more. There are a couple of smaller side pockets for valuables, extra socks, or whatever you may need, as well as mesh pockets on each side to carry water bottles, ensuring you won’t end up parched after dropping 30 points on your opponent. With two comfortable straps, the K-Cliffs basketball backpack feels light on your shoulders, will fit everything you need for a basketball game, and will do a whole lot less damage to your wallet than many similar products. Nike LeBron Max Air Ambassador Backpack Review: Anything named after the King is invariably going to be a high-quality product, and this is no exception. The first thing you’ll notice about this bag is that it’s tough. Made from tough polyester, this Nike product will be able to hold your basketball, all your basketball clothes, and anything else you may need, without any hassle whatsoever. There’s plenty of space inside the bag, but if you can’t fit everything you need, there are also two outside pockets for the rest of your things. Two belts keep the bag securely closed; meaning none of your valuable items will slip out while you’re running to make it on time for the tip-off. This is the best Nike LBJ LeBron basketball bag backpack money can buy. Diadora Squadra Backpack Review: Diadora has come through with a terrific basketball backpack here, and one, which won’t cost you an arm and a leg. The Squadra backpack is made of denier nylon with PVC backing, meaning you will get significant use out of this bag with very little signs of wear. There is a whole lot of space in this bag for your clothes, valuables, and anything else you might need, and your basketball can fit snugly in the vented front pocket designed especially for balls. This is a cleverly designed backpack; the placement of the ball holder at the front of your bag means you won’t feel a huge bulge pushing into your back, as is often the case with bags which require you to place the ball inside the main compartment of the backpack. Bags with the ball compartment on the front side make a lot more sense, and this is the best basketball backpack with ball holder on the market. Nike KD Max Air Kevin Durant Basketball Backpack Review: Unlike the LBJ backpack, Nike has missed the mark on their KD model backpack. The bag is waterproof and has plenty of space to fit all you can inside, but it has a few major drawbacks, which make it difficult to justify purchasing. Firstly, it is too expensive for what it is, likely a product of the KD name. Its size ensures it fits plenty inside, but many users find that it is bigger than what they need, and a hassle to carry around. Generally, users only need to be able to fit a ball and some clothes inside, but this bag almost seems to have been made for a two-month International trip. It’s far too big and bulky, and this, along with the expensive price tag, makes it a bag to avoid. Wilson Evolution Basketball Backpack Review: Wilson makes plenty of good sporting products, and while this bag has its upside, it is an inferior product to many similar options on the market. The bag is advertised as compact, which in this case is a euphemism for small. 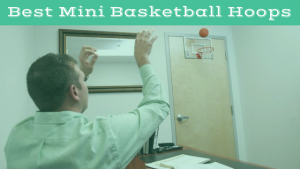 It does have space for a basketball, and you’ll be able to squeeze in a few other smaller items, but not much more. Fitting shoes, a ball, clothes and anything else is a little tougher than it should be, and on top of that, it’s not very affordable. For the same price, you’ll be able to buy a significantly better product. This one is not really worth the expense. 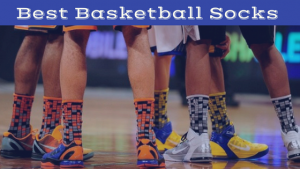 Basketball backpacks, whether they be Nike brand or another, aren’t going to come cheap, so it’s important to ensure you’re getting exactly what you need before you make your purchase. It needs to be able to fit everything you need while remaining light and comfortable, and of course, the price needs to be within reason. Here are the three most important factors you need to consider before buying. Price: Some of the highest quality basketball backpacks can cost close to $100, which is not a feasible cost for everyone. Generally, though, these bags are extremely good quality and will serve you well for a long time. If you’re after something cheaper, there will almost certainly be something for you, a bag, which will save your wallet and still provide you with what you need. The cheaper you go, however, the more research you should do, to ensure that you don’t end up with a product which will come apart after just a few games. This leads us to the next factor: durability. Durability: Durability has a direct impact on how much value for money you will get out of your bag. If you’re going to spend a significant amount of your hard earned cash, you want to be able to use the backpack for a long time. Otherwise, it simply isn’t worth paying for. The highest quality backpacks will be able to last for many years provided you take reasonable care of them. In contrast, bags which are made of lesser quality materials can fall apart as soon as they are filled to their limit, or after just a few months of consistent use. Additionally, adding one of the best gym bags for basketball to alternate carrying your gear, will bring less wear and tear overall. Size: Before you buy your basketball backpack, you need to ask yourself: how much am I going to be carrying around in this? For some people, the answer is very little. Maybe you just want to be able to take a change of clothes to your game, in which case you won’t want to be lugging around a big backpack. For others, the bag will need to hold their basketball, a pair of shoes, spare clothes, and more. In this case, you’ll obviously need something bigger. Bigger bags can be clunky and difficult to comfortably carry, so those of you looking for something with a bit of size should make sure to find something which is big enough, but also lightweight and comfortable. The number one factor is that it can carry what you need it to. After all, this is the reason for having a backpack. Maybe you can find something cheap, light, and comfortable, but if you’re going to have to carry your extra shoes in your spare hand because they don’t fit in your backpack, it might not be worth it. Along with this, you want it to be comfortable – some lower quality backpacks may be full of lumps once you put your belongings in it, and you’ll feel like you’re being punched in the back with every step you take. Make sure your things fit, and you can comfortably carry the bag, and you’ve found yourself a great backpack. 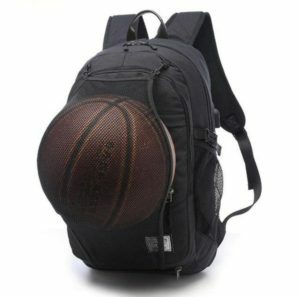 Adding one of the best basketball backpacks to store all of your gear can be an essential item for any serious baller. A regular gym bag is often too big, while normal backpacks don’t usually cater for bigger items like basketballs. By following the advice in this article, you’ll have a better understanding of what to look for when buying a backpack, and which brands are offering the highest quality bags, making your search that much easier.